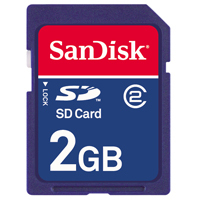 Did you know that there are two types of SD (Secure Digital) memory cards? 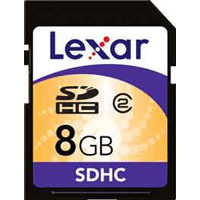 There are the regular cards, which hold up to 2GB of information, and SDHC, for high capacity, which hold 4GB to 32GB. So what’s the problem? Identical in size to the old SD format, SDHC cards fit into the old slots. But older devices, including most sold in 2007 and earlier, can’t read the new SDHC format. They simply aren’t compatible (SDHC products can use both types of cards). So this means that if you own an older digital camera, PC, printer, or other device with an SD card slot, it probably can’t read SDHC cards. If you’re not sure whether your device supports SDHC, check with the device manufacturer or borrow a friend’s SDHC card and try it. And if your non-compatible device is a PC, the easy solution is to buy a USB card-reader that handles SDHC. It plugs into the USB port on the PC and will let you access the newer cards. How do you know which cards are the new SDHC format? It’s simple: cards with 4GB to 32GB are SDHC. To be safe, also look for the “SDHC” designation on the card. What about cards with capacities higher than 32GB? 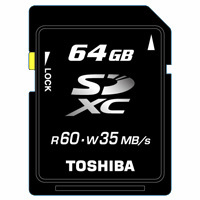 You guessed it, there’s another type of SD card, the SDXC, for extended capacity. It won’t become available until next year and affordable till 2011 or later, and it should stay around for awhile, since it can go up to a whopping 2TB!